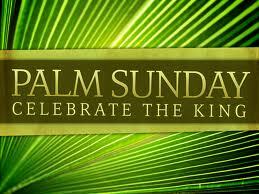 Sunday, March 20, 2016 is Palm Sunday, the first day of Holy Week. On Palm Sunday, we commemorate Jesus’ celebrated entry into Jerusalem just a few days before his arrest, trial, and crucifixion. April 13. Palm Sunday: Give UP Being Fickle for Lent – Matthew 21:1-11 and Matthew 27:15-26. It is Palm Sunday and we give praise but on Monday are we still faithful or do we act like the world? Fickleness is a must to be given up for Lent.